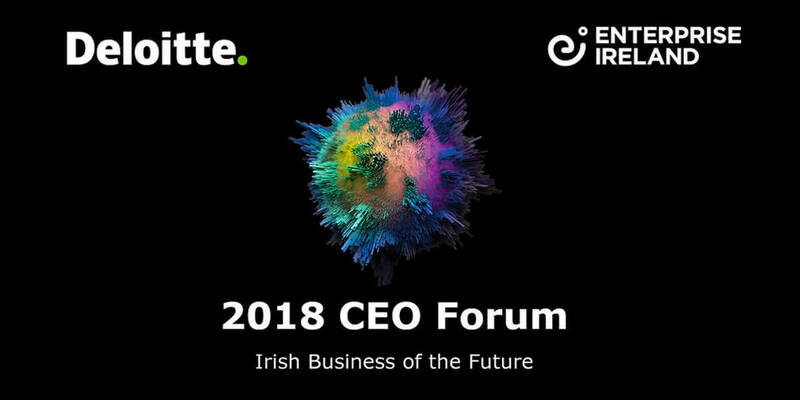 The 2018 CEO Forum, jointly hosted by Deloitte and Enterprise Ireland, is now regarded as one of Ireland's foremost gathering of CEOs and business leaders. 2018 is a milestone year, as we celebrate 30 years of the Forum – supporting the growth of Irish business. However, this is also a milestone era for Irish business as we navigate the possibilities of Industry 4.0 alongside the complexity of our geopolitical landscape, and particularly at this critical time of impending Brexit decisions. So what can it mean for the Irish business of the future, and importantly the Irish executive at its helm? Helping us address these questions, we are delighted to announce Siobhán Talbot, CEO of Glanbia as this year's keynote, sharing her insight and experience in leading this multi-billion euro operation. In addition, there will be a highly accomplished panel of industry leaders including Bob Etchingham, CEO, Applegreen plc, Susan Spence, Co-Founder, SoftCo and Alan Walsh, CEO, IPL Plastics plc debating the issues of the day. Mark Gallagher, CEO of Performance Insights Ltd and former management lead at Formula One will also join this dynamic line-up providing his fascinating insights into the inner workings of running a global sports company and the business of winning.